This complete kit includes the Audax Slipper Clutch Hub, Basket and Clutch Cover with replacement clutch cover o-ring. 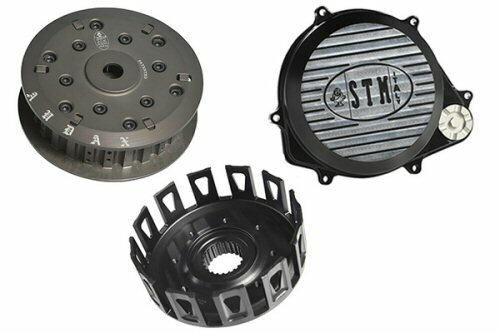 The Audax clutch is completely new design from STM that is meant to reduce the accelerated wear often caused by slipper clutches while also making periodic service easier. 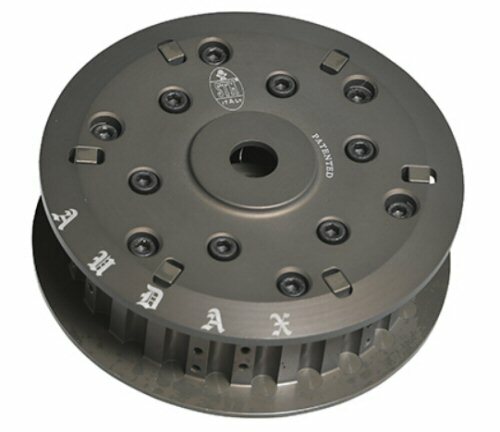 The clutch allows replacement of the disks without removing any spring. This feature makes it unique in the world and provides faster service times. Top range helix springs guarantee the projected load even after 100,000 cycles. The total load from the springs supplied is superior to the original to prevent any suspension of the whip even in the case of highly prepared engines for the racing world. The supplied steel discs have a drag profile that greatly increases the contact area with the hub by decreasing the hammering effect of the original discs. 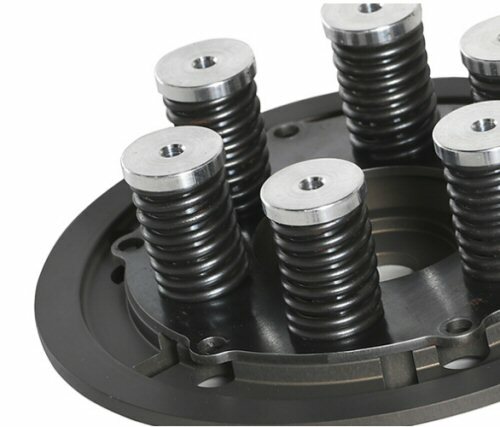 The wear of the plate supports disk is non-existent with the adoption of the first disc in contact with the steel clutch. The materials used are aeronautical alloy alloys, the top for lightness and thanks to specific oxidation processes increases the wear resistance. Greater lubrication than commercial clutches. The starting clutch behavior is ON / OFF or gradual. The pusher is non-deform-able by the forces applied to it because it is not perforated for the housing of the springs. The special housing of the springs guarantees the latter that they can not flex laterally.